Kiva Micro Loans vs American Red Cross Donations – Kiva WINS! Salesforce.com puts on an extravagant production each year with their annual Dreamforce conference. Whether you are a DF seasoned pro, or this will be your first time attending Dreamforce, a week of information and sensory overload may stress you out. If you need a short break from the Dreamforce grind, why not try something new while giving back to the community? CharityWater.org (also accessible via CharityWater.com) is a non-profit organization who has a single mission; provide clean, quality, and safe drinking water free of pollution to developing countries around the world. 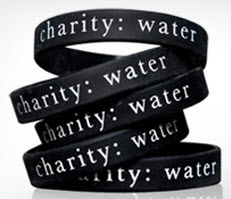 You can tell Charity Water genuinely believes in their mission that water is life. Not only is Charity Water a non-profit who stands behind a great cause, they are probably one of the most innovative and transparent non-profits I have come across.